CGW considers it green to extend the life of existing appliances to the end of their projected life, and beyond if the appliance is safe. New energy efficient furnaces are worthwhile to install if there is a furnace with a standing pilot, a grant program, or if the existing appliance would not last another year. Instantaneous hot water tanks are two to three times the cost of a traditional tank, require plumbing rough in changes, outdoor venting and air inlet, and are only marginally better when viewed on a gross efficiency (efficiency with normal use). Parts can be difficult to obtain, or impossible if the manufacturer has gone out of business. Always consider the least complicated and most common option (33.3 USG gas hot water tank). We regard gas appliances as more “green” than electrical as the majority of electricity is generated using natural gas through a “Rankin steam cycle” which is apx 30% efficient. A high efficiency gas furnace is rated at 95% or higher efficiency. Electricity is a very “high end” fuel, as it will run computers, lights, microwaves. It is also getting more expensive as we all know, while gas is staying inexpensive. Considering the cost of electricity, and how we consume more all the time, and repair and upkeep cost, we regard gas furnaces as more economical (and green) than heat pumps. A heat pump should only be considered if cooling is desired as well as heating. A gas stove should be considered for cooking and a gas dryer for drying your clothes. With the advent of smart meters, and peak demand billing, planning to shed electrical load out of your life is smart. Insulation should always be the first choice in making a home more energy efficient. It is mechanically simple, provides silent comfort, and will pay off. When a home is properly insulated then one should consider a furnace upgrade, as the furnace can be smaller, quieter, and run more efficiently. Our business is selling furnaces and gas appliances, but we feel an honest approach to “green” works well for our clients, and for our firm. 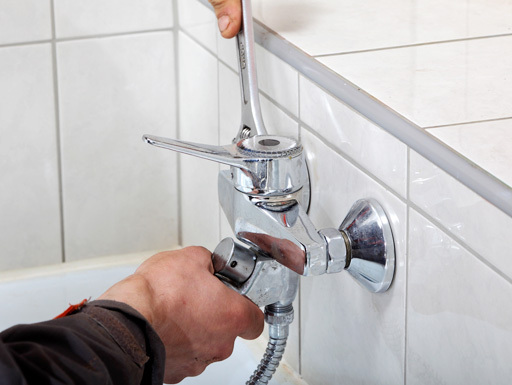 Elbow grease- try using a plunger on the blocked drain. Block overflow when plunging to put the force on the blockage. If your toilet is blocked plunge till clear, then use a flashlight and mirror to locate the blockage. Pull it out using a bent coat hanger. For your kitchen sink, put ½ cup of baking soda, and ½ cup vinegar down the clogged drain. Then add boiling water. If the water is still backing up in the sink pour another cup of baking soda down the drain, followed by 3 more cups of boiling water. This method can be repeated until the desired effect is reached. Household bleach will also often clear a blockage, however is harmful to brass drain parts. We will recycle your old mercury thermostats and controls, will buy clean copper, and accept brass and dirty copper.